With the proliferation of appliances occupying ever more space on our countertops, it's refreshing to hear about a versatile kitchen gadget that doesn't take up any counter space at all. Better still, it's one you already have! Of course, we're talking about the broiler—that forgotten shelf, tucked away either underneath or inside your oven itself. Whatever its location, your broiler consists of an ultra-hot heating element (either gas or electric, depending on your type of range), with a rack underneath. Cooking the food a few inches away from this intense heat is a lot like grilling, but with the heat directly above rather than below your food. Of course, with the broiler, there's no mucking around with charcoal, or propane tanks, or even going outside. All you get in exchange is delicious food, cooked crispy and golden brown, in a relative jiffy. You can use the broiler to cook something from start to finish, but it's also great for finishing the cooking on something like a gratin (or a casserole), where you want to brown the top at the end. In general, flat things work best, like steaks, chicken breasts, or fish fillets, between 1/2-inch and 1 1/2 inches thick. Thicker than that takes longer to cook all the way through, and the outside ends up burning. You can compensate by moving the rack further from the heat, but then you miss out on the browning, and you might as well be baking. If your broiler offers a low and high setting, always use high. 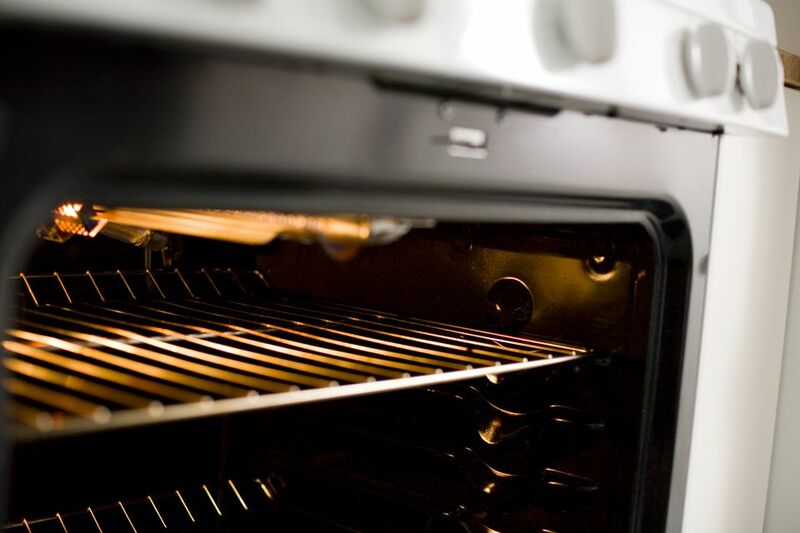 If the broiler rack is adjustable, position it about four inches from the heat source. And don't forget to preheat—allow a full five minutes for the heating element to reach its proper temperature. As with the grill, the broiler cooks very quickly at a very high temperature, which means it is ideal for cooking a steak medium rare (or medium). To broil a steak or chop 1 to 1 1/2 inches thick, bring it to room temperature first, then brush it with oil or melted butter, season it, and broil for 4 to 5 minutes, then flip with tongs and continue cooking until it reaches the desired temperature as measured using the touch test: Press it with your thumb. It should give just a little bit when pressed and spring right back. If it feels soft, cook another minute. And remember to rest the steak before you serve it. Also, use the broiler to finish braised meats, like pork ribs, to give them a crispy crust on the outside. The broiler is less good for when you want to cook your meat well done (which includes burgers), because by the time the interior is cooked all the way through, it's dry on the inside and scorched on the outside. The fact that some chickens are literally called broilers should be a clue that, yes, you CAN broil a whole chicken. But there's a catch. You (or your butcher) need to split the breastbone and remove the backbone, in a technique called butterflying or spatchcocking. The goal is to flatten it out so that it fits under the broiler and cooks evenly. Fortunately, broilers (which are smaller birds, about 2 to 3 pounds), are sometimes sold that way already. Remember to marinate, brush with oil, and baste. Your spatchcocked chicken also needs to sit a little further away from the broiler element, about 8 inches. Here's more about broiling a chicken. You can also use the broiler to finish oven-baked chicken wings, which need to cook at lower temperature, but benefit from crispy browning at the end. Fish and seafood are delicate and they cook quickly, which makes them good for the grill as long as you don't overcook them. Fatty fish like salmon are good because the extra fat helps guard against drying out. Brush with olive oil, season, then broil for 4 to 6 minutes per half inch. If your steak or fillet is an inch thick, turn it after the first 4 to 6 minutes, then cook another 4 to 5 minutes until until done. Thinner cuts don't need to be turned. Halibut is a meaty fish that cooks well under the broiler. Same with tilapia. For lean fish or thinner cuts, dredge in seasoned flour, then dip in oil before broiling. Alternately, you can brush the fish with oil then coat it in cornmeal. This helps protect the fish from drying in the intense heat. Any veggies you can grill will also work in the broiler, like asparagus, onions, zucchini, peppers, tomatoes, mushrooms, and eggplant. Slice thinly, brush with olive oil, sprinkle with salt, and broil for 4 to 5 minutes or until golden brown. Watch them to make sure they don't blacken. Toss with a balsamic vinaigrette to serve. If you want to jazz things up, try broiling tomatoes with parmesan cheese. Yum! When it comes to fruits, it's also the same candidates as for the grill: mangoes, pineapples, peaches, plums, nectarines, even bananas. Anyway you slice it, the broiler is a great way to cook your food, especially during those cold winter months when you are craving that grilled flavor.